Unlock any Sony Ericsson phone or tablet with doctorSIM. Recommended by Sony Ericsson and the network carriers. Safe, permanent and maintains the phone's warranty. How to unlock my Sony Ericsson phone with doctorSIM? Request your unlock code for any Sony Ericsson cell phone or tablet. You will receive simple step-by-step instructions explaining how to enter the unlock code into your Sony Ericsson. Your phone or tablet will be unlocked in a matter of minutes with doctorSIM! doctorSIM has been in the cell phone business for over 10 years. We have unlocked more than 5 million phones and tablets for individual customers, companies, network carriers, and cell phone manufacturers. Our first-class customer support team is available to assist you by telephone, chat, and e-mail. We have also invested heavily in quality controls and certificates guaranteeing the safety of your personal information. What are the benefits of having an unlocked Sony Ericsson phone? There are many advantages to owning an unlocked cell phone, with the main one being the convenience of using it on any compatible network in the world. You can also change carriers whenever you like to benefit from a better deal, as well as avoid expensive roaming charges when in another country. And if you ever decide to upgrade in the future you can sell your device for more money if it is unlocked. I don't know the original operator of my Sony Ericsson cell phone. Help! If you don't know the network carrier to which your Sony Ericsson is locked, select our Sony Ericsson unlocking worldwide service. It's valid for all Sony Ericsson models. Check that the device prompts for the network unlock code when you insert a SIM card. What happens if I update the software of my Sony Ericsson? 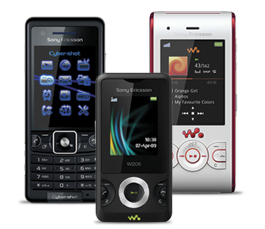 doctorSIM guarantees our unlocking method will work with all original Sony Ericsson software and subsequent updates. We do not take responsibility if you have modified your phone in any way by downloading unofficial software which could possibly alter key components of the phone required to successfully unlock it. How many unlocking attempts does my Sony Ericsson phone have? You have a maximum of 10 unlocking attempts to enter the correct unlock code into your Sony Ericsson phone or tablet. This is why it is very important that you request an unlock code through a reputable unlocking company offering you full guarantees. Avoid free or very cheap codes and untrustworthy websites because they could easily damage your Sony Ericsson. Please note that if you have run out of unlocking attempts, we will not be able to unlock your phone. Do I need to know the exact model of my Sony Ericsson device to unlock it? No. We make it easy for you to request your unlock code with doctorSIM by not having to specify the exact model of your Sony Ericsson. Just make sure that when you make your request you send us the correct IMEI and that you've checked to see if you have any unlocking requests left. However, if you need to know the model of a Sony Ericsson device for any other reason we recommend using our identify Sony Ericsson model finder. It's free and just takes a few seconds! What happens if I have exhausted all of my unlocking attempts on a Sony Ericsson? At the present time, we are unable to unlock your Sony Ericsson if you have run out of unlocking attempts. We highly recommend checking how many unlocking attempts a Sony Ericsson has left before requesting an unlock code. Convenience! Our unlocking service is 100% online. Continue to use your Sony Ericsson during the unlocking process. Professional unlocking services valid for all devices. Unlocking your phone is perfectly legal. Permanent; your cell phone will be unlocked forever. No need to update the software to unlock your Sony Ericsson. Our method guarantees you won't lose your warranty. Simply type in an unlock code. No chance of harming your cell phone.